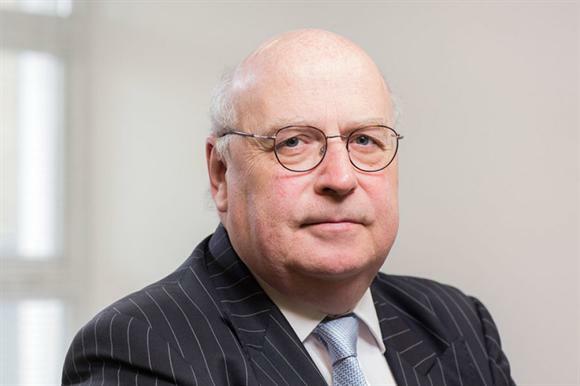 A new regulatory body for not-for-profit organisations and the reformation of the Big Lottery Fund as an independent endowed foundation are among proposals to stimulate civil society that will be put forward today by Sir Stuart Etherington. Etherington, chief executive of the National Council for Voluntary Organisations, but speaking in a personal capacity, will outline his ideas in a private lecture this evening at the Centre for Charity Effectiveness at Cass Business School in London. He will say that civil society needs to double in size over the next few decades as part of a "renaissance of personal responsibility" in the face of a £2tn national debt and overstretched public services. Etherington will make a series of recommendations on how to achieve this, based on how the sector can be better regulated and financed and how volunteering can be encouraged. He will say that the growth of legal entities, such as community interest companies and B corporations, has created a range of organisational forms with varying degrees of public benefit and tax breaks. "This lack of flexibility and multiple regulatory regimes can often confuse and, at worst, inhibit the multiple associational responses that will be required in the post-bureaucratic age," he will say. "It is therefore necessary to conduct a significant review of the legal and regulatory framework surrounding civil society." He will suggest the creation of a "single public-benefit regulatory body across non-profit activity", which he claims would be more suitable and less costly than the current system that depends on the Charity Commission and other regulators. Etherington will say such a move would reduce "the somewhat dysfunctional nature of the relationship that exists between the tax system and the regulatory system", adding: "This suggestion would not be easy to achieve, but should at least be examined by a thorough, government-commissioned review." Etherington will also suggest the Big Lottery Fund, which is a non-departmental public body, could become an independent endowed foundation with a "small strategic centre" and "significant regional autonomy". Allocating some lottery funds to set up an endowment would, he will argue, create further funding that could be administered independently. Deploying billions of pounds that is lying idle in dormant bank accounts into local, community-run foundations as part of a review of social investment. The review will consider whether the role of Big Society Capital needs to change. "The structuring of BSC has in-built problems," he will say. "Essentially, the money is too expensive." Considering how the government's National Citizen Service programme can be "dovetailed" into existing civil society activity. A review of commissioning practice based on "co-created solutions". Giving people time off work to become trustees. He is expected to say: "The issue is no longer about more or less state funding versus more or less charitable giving or volunteering. It is a move towards something new: a society where the state and its citizens share the responsibility for supporting those who need it." Etherington, who is a visiting professor at the London-based Cass Business School, took formal leave from the NCVO to develop his views, which are contained in the pamphlet Voluntary Action: A Way Forward.